The erstwhile Joint Tactical Radio System (JTRS) programme continues to dominate tactical radio procurement for the United States armed forces, with new waveforms and hardware being spun out of these initiatives for export customers. Joining Harris and Rockwell Collins (see below), General Dynamics is one of the companies answering the call to provide FRP (Full Rate Production) segment of the manpack requirement for the US Army’s ongoing HMS (Handheld, Manpack, Small Form Factor) tactical radio requirement. The HMS programme was spun out of the erstwhile Joint Tactical Radio System (JTRS) initiative. Under the JTRS programme, the US Department of Defence (DoD) planned to replace all of the tactical radios in the United States armed forces with a range of new systems was dissolved in 2011, following concerns over cost overruns. Nevertheless, the programme was then resurrected, but with individual services given the responsibility of acquiring various tactical radios, hence the army being given the responsibility of procuring the HMS component which will also equip the army’s sister services (United States Air Force/USAF, United States Marine Corps/USMC and United States Navy/USN). Speaking during the May 2016 SOFIC (Special Operations Forces Industry Conference) exhibition held in Tampa, Florida, General Dynamics officials updated Armada regarding the work that the firm is performing regarding the manpack component of HMS. Currently the firm is delivering AN/PRC-155 two-channel, manpack tactical radios to the force which have been delivered to the army as part of the Low Rate Initial Production (LRIP) phase of the manpack dimension of HMS. The programme is now moving towards Full Rate Production (FRP: see below) and General Dynamics is working on a next generation manpack radio to fulfil this requirement. The firm is concentrating on reducing the size, weight and power consumption of its existing AN/PRC-155 manpack design, adding that adapting and procuring an improvement on an existing design may be more cost-effective for the US Army than purchasing a completely new radio. One of the attractions of the AN/PRC-155, the company told the author, was that the radio already possessed the MUOS (Mobile User Objective System) waveform which allows it to communicate with the US Navy’s UHF (Ultra High Frequency: 300MHz to three gigahertz) MUOS satellite constellation which is entering service to replace the US Navy’s UFO (UHF Follow-On) satellite constellation. Meanwhile, in early September 2015, the United States Army awarded General Dynamics a contract worth $20 million for a two-channel, vehicle-mounted version of the force’s AN/PRC-154/A(V)1/B(V)1 UHF (225-450 megahertz/MHz) and L-band (one gigahertz to two gigahertz/GHz) Rifleman Radio. The AN/PRC-154 is currently being procured via the Low Rate Initial Production (LRIP) phase for the handheld dimension of the HMS requirement (see above). As a result of this contract, General Dynamics subcontracted Thales to provide a total of 1100 AN/VRC-121 VIPER (Vehicle Integrated Power Enhanced Rifleman) radios which will began deployment in early 2016 with the US Army 82nd and 101st Airborne Divisions. In terms of architecture, the AN/VRC-121 design effectively acts as an adaptor to provide a two-channel radio. The transceiver accommodates an AN/PRC-154/A handheld radio which in turn carries the Soldier Radio Waveform (SRW) developed for use by the US Army for dismounted troops. The AN/PRC-154/A fits into the AN/VRC-121 transceiver which provides 20 Watts of amplification. This increases the transmit power of the AN/PRC-154, usually circa five watts, allowing longer-range communications. The AN/VRC-121 enables the AN/PRC-154 to be both a handheld and a vehicular radio using the same transceiver. To ease installation, the AN/VRC-121 can be accommodated in any vehicle with either a Single Channel Ground and Airborne Radio System (SINCGARS) radio vehicle adapter amplifier, or SINGCARS base tray. The AN/VRC-121 can act as a conduit carrying the SRW between dismounted troops using the SRW on their AN/PRC-154 family radios, vehicles, and higher echelons of command. It answers the US Army’s requirement for a vehicle-mounted radio carrying the SRW. 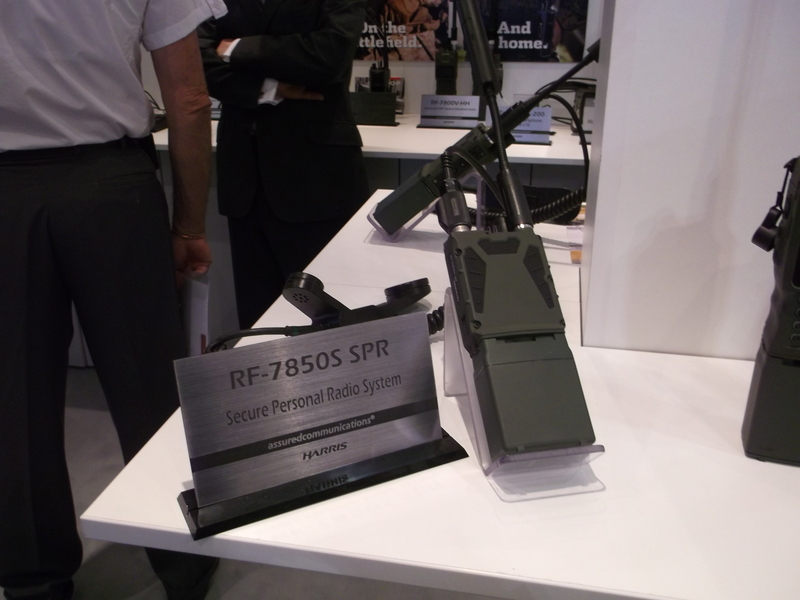 At this year’s Eurosatory defence exhibition held in Paris this June, Harris showcased its new RF-7850S UHF (300MHz to three Gigahertz/GHz) handheld radio. Intended for platoon-wide communications of up to four kilometres/km (2.4 miles) range, the radio hosts a number of waveforms including the proprietary Soldier Time Division Multiple Access Waveform (STNW) which was launched alongside this new product. The STNW is designed as a point-to-point waveform to support MANET (Mobile Ad Hoc Networking) communications and provides full voice communications, simultaneous voice and data communications and location information using the Global Positioning System (GPS) satellite constellation. Harris officials told the author that the STNW can host six dedicated voice channels with each individual having their own GPS slot on the waveform. 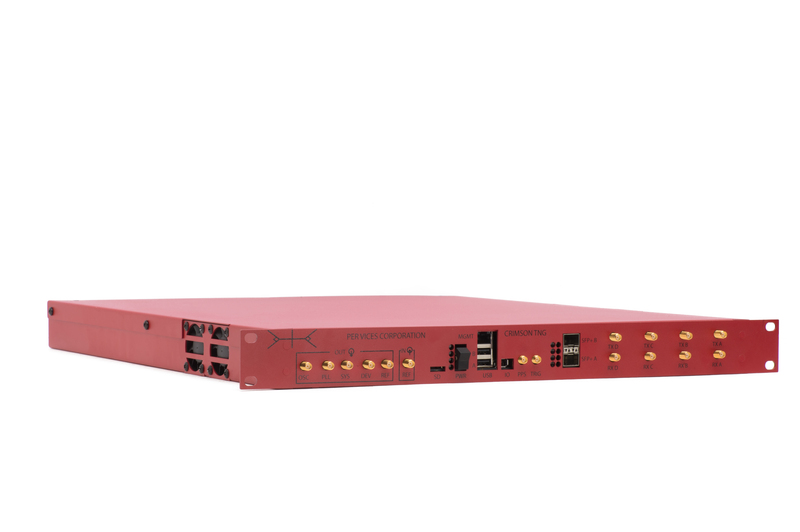 Six talk grounds with up to 48 users can be hosted using the STNW which handles up to 1.4 megabits-per-second of data. 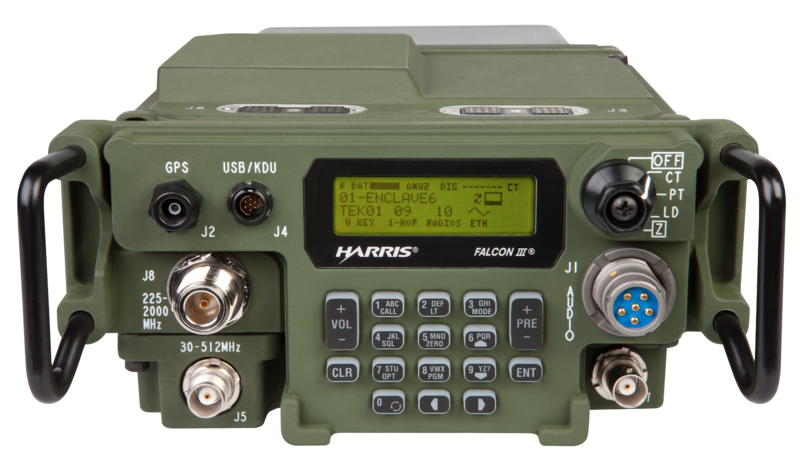 For now, the STNW is only available for the RF-7850S, although the firm is confident that this waveform could, in the future, be ported into other members of Harris’ RF-7850 Falcon-III tactical radio family. 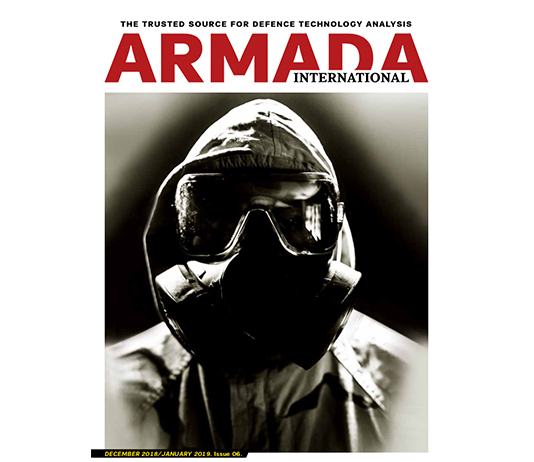 In July the firm told Armada that it had shipped 2090 RF-7850S transceivers since the radio was launched this May, with nine undisclosed customers in the Asia-Pacific, Europe and the Middle East making purchases. Another interesting feature regarding the RF-7850S is that it has been designed to be easily exportable. While the radio does fall under the stipulations of the US government’s International Traffic in Arms Regulations legislation, it does not employ the National Security Agency’s (NSA) Type-1 level of encryption relating to securing classified US government information. Instead, the radios are secured using Harris’ Citadel-I/II and the US National Institute of Standards and Technology’s AES-256 (Advanced Encryption Standard-256) level of encryption. Beyond the STNW, the RF-7850S can accommodate the firms’ TNW (TDMA Networking Waveform) which is a narrowband waveform offering ranges of up to 15km (9.3 miles), but with a data throughput of 16kbps (kilobits-per-second) with the waveform typically being used to handle text messages. The TNW is interoperable with other RF-7850 family radios, and can host up to 64 users on a network, the company told Armada. These users can be organised into six different talk groups each of which absorbs 25 kilohertz of bandwidth, with the waveform also offering GPS-based location reporting. The firm’s ULOS (UHF Line-of-Sight) waveform is also hosted on the RF-7850S which it states is a ‘last ditch’ waveform to carry simple voice and minimal data communications. The ULOS is a fixed frequency waveform occupying three kilohertz of bandwidth. The firm also shared with the author that in February 2017 it would launch a new waveform called WPAN (Wireless Personal Area Network). Designed to be retrofitted across Harris’ RF-7850 family, the waveform can be used by these radios following a simple retrofit which includes a small circuit board being installed in the transceiver to allow the WPAN software to be used. Once installed, this will allow these radios to use wireless connectivity across WiFi or Bluetooth networks allowing the radio to communicate with a cellphone, tablet or a laptop and vice-versa. This should be of particular use when RF-7850 family radios are being used in an environment where non-military personnel may be present and may need to liaise and communicate with one another, such as in the wake of natural disasters or during humanitarian work. Beyond new products such as the RF-7850S, Harris is heavily involved in a number of programmes for the United States armed forces. For example, the company has ported the MUOS waveform onto its AN/PRC-117G V/UHF multiband manpack radio. Used throughout the US armed forces, and the United States Special Operations Command (USSOCOM), the radio already hosts the Single Channel Ground and Airborne Radio System (SINCGARS) and HAVE QUICK-I/II legacy air-to-ground/ground-to-air and ground-to-ground analogue and digital waveforms. The addition of the MUOS waveform will let the radio be used for UHF satellite communications across the MUOS constellation. Harris told Armada that it had already began to receive orders for AN/PRC-117G radios to be retrofitted with the MUOS waveform, and hopes to start delivering upgraded radios in the third quarter of 2016. Furthermore, the company disclosed that it is outfitting the AN/PRC-117G with the Wideband Networking Waveform (WNW). The WNW facilitates communications at the mounted infantry level, with the Soldier Radio Waveform (SRW) being subordinate to the WNW and being used for dismounted communications at platoon/squad level. A further enhancement to the AN/PRC-117G is the addition of the OTAM (Over The Air Management) capability. Much like the civilian smartphone world, OTAM enables AN/PRC-117G users to download new enhancements to their radios in the field across their radio nets. This could be particularly useful if new encryption parameters need to be uploaded during a specific mission, or should new frequencies need to be employed. Both the SRW (which also outfits the AN/PRC-117G) and the WNW both have the OTAM function. Other Harris radios have received similar modifications. For example, the AN/PRC-152A handheld V/UHF multiband radio which is in service with the US Army, USMC and USAF is being retrofitted to handle Project-25 (APCO-25) communications. Tactical radios equipped with APCO-25 can communicate in the United States with civilian first responders given that the APCO-25 communication standard is used at the federal and state level in the US by local public safety organisations. This work commenced in 2015, and the company believes that APCO-25 functionality will prove particularly useful to US National Guard units equipped with the radio which may be called upon to assist domestically in the wake of natural disasters or civil unrest, and hence benefit from this level of interoperability with local civilian organisations. 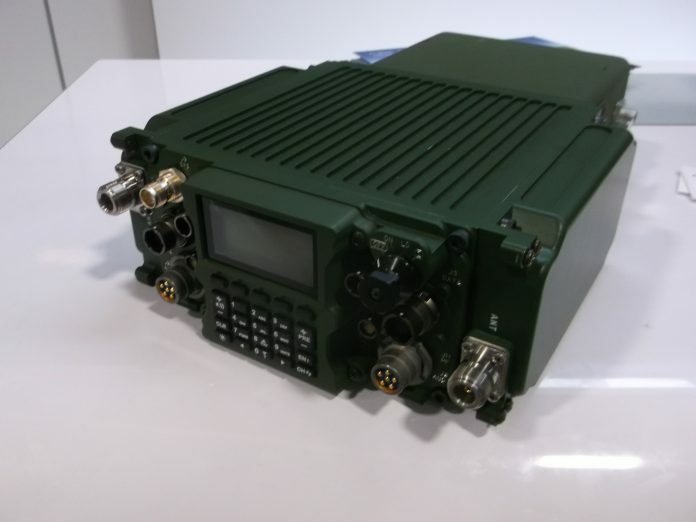 Harris is also the contractor providing the AN/VRC-118(V) Mid-tier Networking Vehicular Radio (MNVR), having been selected to provide this transceiver to the US Army in September 2013. 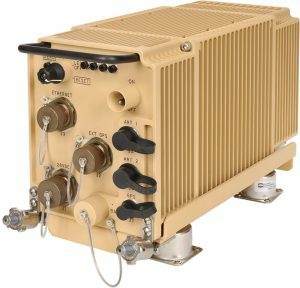 The AN/VRC-118(V) is, as its acronym suggests, a vehicular radio designed to carry voice, data and imagery traffic from brigade and battalion levels to companies and platoons. Certified to US NSA Type-1 encryption standards, the AN/VRC-118(V) carries legacy waveforms such as SINCGARS and HAVE QUICK-I/II, while also carrying WNW and SRW forming the junction where dismounted communications using the SRW connect to the next tactical echelon using the WNW. The OTAM capability discussed above for the AN/PRC-117G will be included in the next software release planned for the AN/VFC-118(V) in the third quarter of 2016. Meanwhile, development of the AN/VRC-188(V) is continuing with the radio having performed tests with the US Army in 2015. 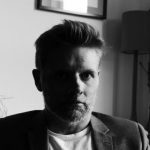 That said, reports emerged this July that Michael Gilmour, director of operational test and evaluation for the US Department of Defence, had expressed concerns regarding the suitability of the AN/PRC-118(V)1 to meet the US Army’s requirement for mid-tier networking. This followed the US Army’s Networking Integration Evaluation (NIE) exercise conducted at Fort Bliss, Texas in May and a previous NIE held in 2015. Media reports have noted that the US Army’s Brigade Modernisation Command (BMC), which performs the NIE exercises, had received varied feedback regarding the radio by commanders who had used the transceiver during these exercises. In particular, the feedback from the most recent NIE stated that the vast majority of commanders who attend the exercise and used the AN/VRC-118(V) would use the radio if it is fielded by the US Army. A decision on whether the US Army will move towards the low-rate initial production of the AN/VRC-118(V) is expected towards the end of this year. Finally, like other companies discussed in this compendium, Harris is increasing its activities in the High Frequency (HF: three megahertz to 30MHz) domain. HF radios provide intercontinental distances thanks to the ability of HF transmissions to ‘bounce’ off the ionosphere, a level of the atmosphere at an altitude of 60 kilometres/km (37 miles) to 1000km (62 miles) above the Earth’s surface. The attractions of HF is that it is less expensive to procure HF transceivers, compared to SATCOM terminals, which also require an accompanying satellite and ground-based infrastructure which is either leased or owned by the government of the armed forces in question. However, HF communications are hampered in terms of bandwidth and cannot necessarily handle still and video imagery traffic. Harris told the author that it plans to launch its new RF-300H HF radio in February 2017. This will be a smaller and lighter transceiver compared to the firm’s legacy AN/PRC-150 HF manpack radio currently in service with the US Army, USMC and USSOCOM, and a number of so-called ‘five eyes’ nations (Australia, Canada, New Zealand, the United Kingdom and the United States). One attraction of the RF-300H is that the existing AN/PRC-150 accessories will be compatible with this new transceiver. Although no orders exist as yet for the new radio, the firm told Armada that the US Navy and USAF have shown great interest in the RF-300H, and that the USMC is planning on modernising its HF communications in the near future with this new radio being a possible solution to this end. Elsewhere, Harris has been awarded an indefinite-delivery/indefinite-quantity contract from the US Army to supply AN/PRC-158 manpack radios. The contract has a ceiling of 65000 AN/PRC-158s and includes a five-year base, plus an additional five-year option. According to a Harris press release published in late-February, full production of these radios is expected to commence by the fourth quarter of 2017. The V/UHF AN/PRC-158 carries a wide array of waveforms including SINCGARS and HAVE QUICK-I/II. There are in addition to Harris’ HPW (High Performance Waveform) and ANW2 (Adaptive Radio Networking Wideband Waveform), and the SRW. Staying with Harris, this February, it was reported that the TSM-X waveform developed by TrellisWare will be included in the next generation handheld radio to equip USSOCOM which is being provided by Harris. To this end, the TSM-X MANET waveform will handle voice, data, imagery (still and video), plus Internet Protocol (IP) and geolocation information across a single network. In early October 2015, Harris announced that it had received a contract from USSOCOM for the provision of a new handheld radio under the terms of a $390 indefinite delivery/indefinite supply contract across a five-year period, with the option to extend this by one year and deliveries to commence in 18 months from the reception of the contract. The radio will be developed in two versions for urban and maritime operations with the latter being water-submersible to a depth of 20 metres (65 feet) for two hours, carrying two channels, one for broadband and one for narrowband communications. Unlike Harris, Per Vices Corporation is not directly involved in the US Army’s HMS programme. Nevertheless, it is forging ahead with new products. Following their discussion in 2015’s Tactical Radios Compendium, the Canadian communications specialists have shared more details regarding their Crimson family of software defined radios with Armada. Over the past twelve months, the firm disclosed that it has continued the development of the Crimson TNG which it says is its newest SDR, which in turn builds upon the capabilities of its Crimson Classic product which possesses four, fully-integrated transmit and receive channels each offering 322MHz of bandwidth. The Crimson TNG, the company disclosed, will offer improved performance compared to the Crimson Classic. Although taciturn regarding its exact customers, Per Vices Corporation told Armada that its customers are located in Europe and North America. 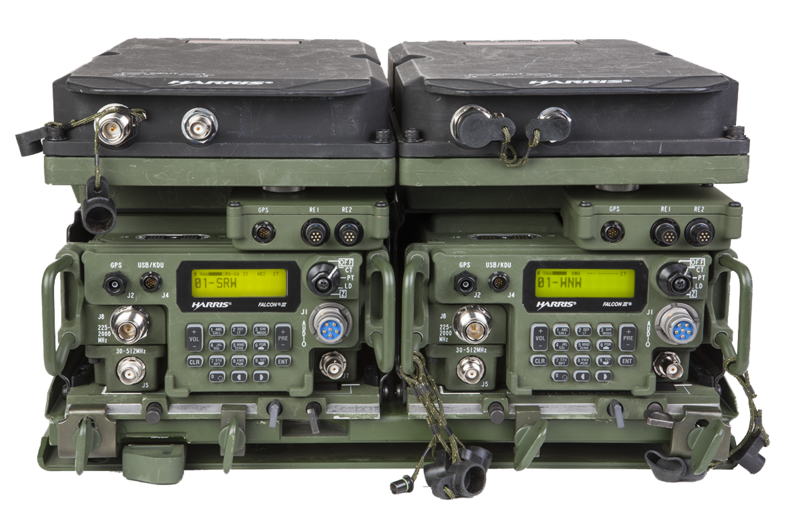 Although perhaps not immediately synonymous with the tactical radios domain, Raytheon does nevertheless provide a number of transceivers via its Maingate family. 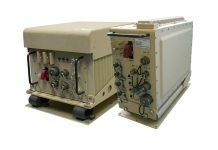 This family of transceivers has been designed to provide a high capacity backhaul radio for the US Army. In radio jargon, backhaul refers to the radio network which links the backbone network, or the main trunk communications running from the command level down to deployed headquarters, to the sub networks such as the platoon communications net or artillery communications net, for example. Raytheon released a statement to Armada discussing its recent activities in the tactical radios domain, although it was taciturn regarding the exact work it has performed for specific customers beyond sharing that its radio products are supporting US Army aviation and USSOCOM needs. Over the past year, Raytheon says that it has strengthened its products with enhanced encryption, and new waveforms to allow digital, secure voice and tactical networking. It added that new MANET protocols have extended the Maingate family’s operating ranges and allowed for the radios to support a comparatively larger tactical radio network. Alongside Harris and General Dynamics, Rockwell Collins is participating in the US Army’s HMS programme. In February, each firm was given two months to supply 30 radios to the US Army for qualification testing. 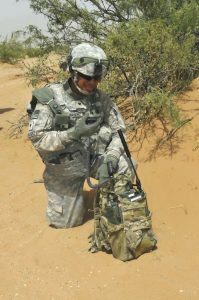 Rockwell Collins has provided its GR-2000 design which, as stipulated in the US Army’s requirements, is a two-channel multiband manpack radio. For now, testing of all the radios participating in the programme from all of the vendors is continuing. Once testing is completed, the US Army is expected to release the results therein. Rockwell Collins told Armada that they are quietly confident that they have met or exceeded the US Army’s requirements for the manpack requirement. According to publicly-available reports, those manpack radios which successfully complete this first stage of testing will then receive a larger procurement of 60 radios from each of the successful vendors. 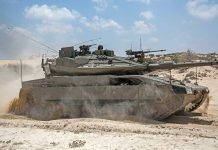 These will be delivered in the fourth quarter of 2016, with the possibility of full rate production beginning in the fourth quarter of 2017, and the radios being fielded with the US Army from 2018. Up to 1470 transceivers could eventually be procured for circa $114.9 million under the manpack dimension of HMS, with the entire procurement being worth $229.9 million, according to the 2017 President’s budget request. The balance of $115 million will be devoted to non-recurring engineering and fielding costs related to the programme. In terms of the waveforms which the manpack radio is expected to handle, Rockwell Collins told the author that these would include SINCGARS to enable communications with legacy radios operating this waveform, plus the SRW to allow communications with dismounted troops. Meanwhile, the radio will carry the WNW to permit communications with higher echelons of command. 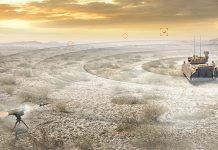 Currently, the US Army is thought to be deciding where in echelon terms the manpack radio could fit. 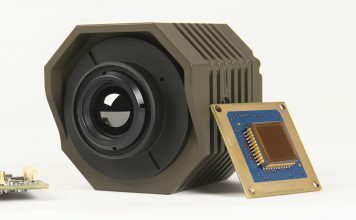 As noted above, the MNVR component of the erstwhile JTRS programme, which is being provided by Harris, has been subjected to some criticism, with some sources close to the US Army informing Armada that the force may choose to stop the procurement of the MNVR if it does not meet army requirements and instead procure the new manpack radio procured for the HMS FRP in a vehicular, as well as a manpack, configuration. The work which Rockwell Collins has completed regarding its GR-2000 design has allowed the firm to ‘spin out’ the radio’s hardware into the GR-2500 manpack which is intended for export, and which forms part of the firm’s TruNet radio family. Launched in March 2015, the TruNet family features the ARC-210/RT-2036 single channel networked airborne radio, the single channel AR-1500 airborne radio, the dual channel AR-2000/2500 airborne radio and the single-channel TIGR (Tactical International Ground Radio). Unsurprisingly, the cryptography with which the GR-2500 will be furnished will be different from the GR-2000 intended for the US Army. Moreover, the GR-2500 will include customer-specific waveforms, such as the pan-European Secure Software Defined Radio (ESSOR) and the international COALWNW (Coalition Wideband Networking Waveform), more details of which can be found in the Radio Days article in this compendium. The timelines for the availability of the GR-2500, Rockwell Collins informs Armada, are roughly following those for the US Army manpack programme.